The celebrated guitarist known by fans as “Captain Fingers” makes his Rockport debut, bringing his virtuosic fretwork as well as his signature blend of jazz, funk, world and pop. 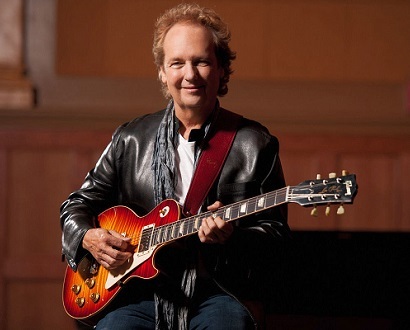 The Grammy-winning six-string ace has been blowing minds since the late 60’s, first as a dynamite session player for the likes of Steely Dan, Pink Floyd, Barbra Streisand, and the Bee Gees, and then as a solo artist with over 30 records including guitar classics like Captain Fingers, Portrait, and This Is Love. 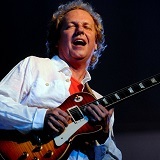 Born and raised in L.A., Lee Ritenour was a child guitar prodigy, gaining his first studio work at age 16 when invited to record with The Mamas and Papas. Obsessed with jazz great Wes Montogomery from an early age, Ritenour dipped his toes into jazz a few years later, playing gigs with heavyweights like Tony Bennett and Lena Horne. Throughout the early and mid 70’s, the young Ritenour made a name for himself as a top-shelf session guitarist, playing on a wide variety of recordings, including high profile sessions with Pink Floyd (The Wall) and The Bee Gees as well as jazz projects with Sonny Rollins, Dizzy Gillespie, and Stanley Turrentine. Ritenour also had a keen interest in Brazilian and Latin sounds, and recorded with Flora Purim, Gato Barbieri, and Paulinho Da Costa. Ritenour’s solo career began in 1976 with First Course, a polished jazz-pop effort that turned heads with its crossover appeal. Throughout the 70’s and 80’s Ritenour would record and tour, perfecting his much-copied easy listening jazz funk style with beloved albums like Captain Fingers, Harlequin (with frequent collaborator Dave Grusin) and Portrait among many others. In the 90’s Ritenour founded the fusion supergroup Fourplay releasing three acclaimed studio records before returning to his solo career in 1998. In recent years, his recordings have been star-studded affairs, including 2010’s Six String Theory, in which he collaborated with a diverse range of fellow guitarists, including B.B. King, George Benson, Keb’ Mo’, Pat Martino, and many more. 2012 found Ritenour releasing another collaborative effort, Rhythm Sessions, which included a number of stellar guest artists (Dave Grusin, Stanley Clarke, George Duke, and Chick Corea). His most recent is A Twist of Rit, in which the guitarist revisits some of his most well-known early compositions. Thank you to our Summer at Rockport Corporate Partner!